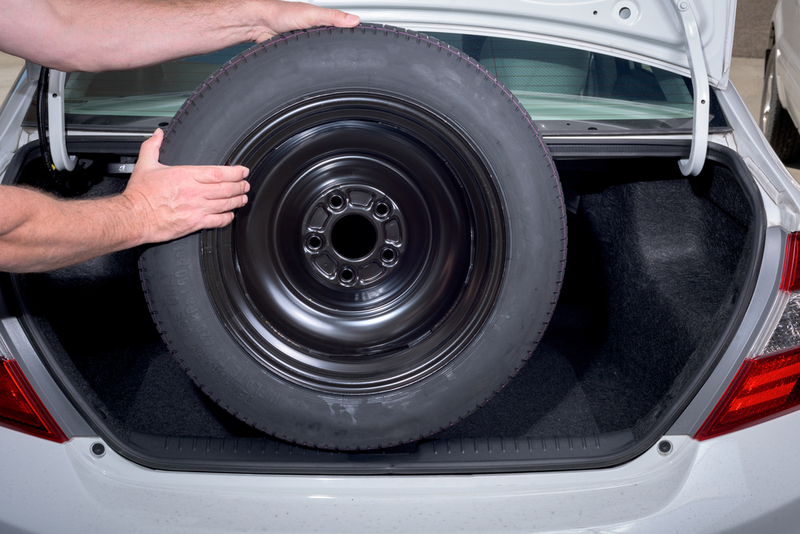 Does your new vehicle have a spare tire? Unfortunately, for those of us familiar with the process, this is knowledge that may soon be for naught as manufacturers replace spares with tire inflator kits and run-flat tires. Why the change? Most may assume it was a cost-cutting measure. I did. But, in fact, inflators typically have a shorter shelf life than tires, can only be used in specific circumstances and must be replaced after only one use. Run-flat tires are more expensive than standard tires, don’t wear as well and are more difficult to source. The real reason manufacturers are sparing the spare – weight loss. Yes, in this age of trimming the fat, even our vehicles are going on a diet. How much could a spare tire weigh? That, of course, depends on your vehicle. One of the smaller ones for a compact vehicle weighs around 28 pounds. Considering a compact vehicle weighs around 3,000 pounds, 28 doesn’t seem like much. But according to Senior Consumer Advice Editor at Edmunds.com Ron Montoya, sacrificing the spare tire could add as much as one mpg. And when combined with other weight-saving measures, things can really begin to add up. Vehicle weight loss became a focus when the Corporate Average Fuel Economy (CAFE) proposal, released in 2011, required a 37 percent increase in passenger vehicle fuel efficiency by 2016. Keeping fuel economy at the top of vehicle manufacturer’s “to-do” list, the CAFE proposal requires even more improvements by 2025. One way of boosting the mpg is by reducing the load. As we get closer to the 2025 CAFE deadline, you will likely see manufacturers continue to whittle away at the pounds while they beef up things like engine efficiency and transmission modifications. Who woulda thought it would take a CAFE to get rid of a spare tire?